Christopher's Car Care welcomes you to our Tallmadge auto repair website. Christopher's Car Care is a well known and respected auto repair facility in Tallmadge Ohio and the Summit County area for our honesty and professional auto repair services that our staff and mechanics provide to our customers. Each staff member and mechanic in our Tallmadge auto repair shop takes pride in the excellent reputation we are fortunate to have developed with both our customers and the entire Tallmadge and Summit County area. Our shop is grateful that our customers repeatedly choose us for their auto repair and service needs and frequently send their friends and family to our Tallmadge shop for their auto repair and service needs as well. Christopher's Car Care invites you to take advantage of our easy 24/7 online scheduling! Simply complete and submit the appointment form to schedule your repair. Christopher's Car Care offers our customers in the Tallmadge area nationwide protection. Our warranties are among the best in the automotive repair industry. Christopher's Car Care is always interested in hearing from qualified individuals seeking employment at our Tallmadge automotive repair shop. If you are interested in joining the Christopher's Car Care team we want to hear from you. Christopher's Car Care is pleased to introduce our valued team of automotive repair & service specialists. Our staff is dedicated to ensuring our customers get only the best auto repair in Tallmadge, at the right cost, and to their complete satisfaction. 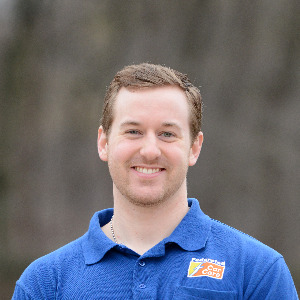 Dave Jr. started working for his dad in the very beginning when Dave Sr. opened the doors for business at the current location in Tallmadge, Ohio. Prior to that Dave Sr. owned several service stations throughout the Akron area where Dave Jr. worked his way through high school. After High School, Dave Jr. got his Associates degree in Automotive Technology from Northwestern Business College. He is currently an ASE certified master technician and an ASE Advanced Level Specialist. When Dave Sr. chose to retire in the fall of 2010, Dave Jr. stepped into his place. Dave Jr. strives to uphold his father's legacy and the core values that Christopher's Car Care was built around. History repeated itself once again in the summer of 2011 when Dave Jr.'s oldest child Mike came to work for him the same he had done over 30 years ago. Dave and his wife Sandy have two kids, Mike and Ashley, and their beloved dog Mickey. Dave is an avid outdoorsman; he enjoys spending time with his family, and going to all of his kids's events and activities. Mike, Dave Jr's oldest child, is the third generation Christopher working at the shop. He started working at Christopher's Car Care in June of 2011. Mike is in charge of maintaining the website, as well as the online marketing. He also lends a helping hand in the front office by helping checking in and checking out customers. Mike graduated from The University of Akron in December of 2014, where he graduated with a Bachelor's Degree in Business Administration. 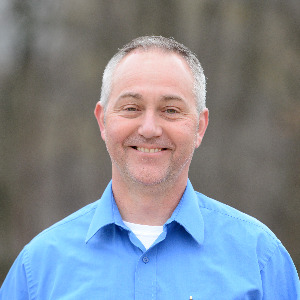 Since graduating from The University of Akron, Mike has taken over as the office manager, where he handles the finances, payroll, and advertising. Dave Christopher began his automotive career in 1963 as a brake mechanic for the Firestone Tire & Rubber Company. He then went on to own and operate a number of service stations in the Akron area between 1967 and 1981. 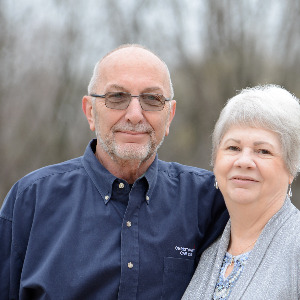 When the opportunity arose for Dave and his wife Linda to open Christopher's Car Care in June of 1982, a long list of loyal clientele had already been established. Many of these same customers still frequent Christopher's Car Care today. Dave retired in 2010, and left the business to his oldest son Dave Jr. He is now trying to stay busy even though he is retired. Dave enjoys golfing, bike riding, and spending time with his dog "Cocoa". He also loves spending time with his family. He and Linda have fourteen grandchildren which they spend time with quite often. 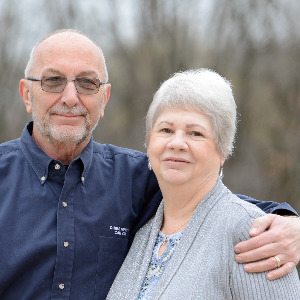 Linda began with Dave in June, 1982, and has helped get this business to where it is today. She has recently retired from Christopher's Car Care. Linda has four sons, including Dave Jr., her oldest son who is now running the company. She enjoys traveling, and spending time with her sons, and her fourteen grandchildren.